Proponents of the annexation plan say it's a way to boost enrollment numbers for Ann Arbor Schools, increase the state funding for students currently in Whitmore Lake, and should benefit both districts. The districts are also guaranteed a $1.4 million dollar consolidation grant. But the plan will increase taxes for Ann Arbor homeowners by .25 mills instead of a .19 mill decrease expected next year without the annexation. Former school board member and retired businessman Bob Rorke plans to vote against the proposal.He says per-pupil funding levels and the one-time state funds are superficial in terms of getting answers to questions about long-term costs. These unknowns trouble him when considering a merger, especially of two districts with declining reserves. "Whitmore Lake due to lack of funds, in Ann Arbor we have, you know, quite a bit of funds being directed to education. It's just that we don't implement those funds in the most business-like manner to get the most out of our money for the students," Rorke says. The head of Ann Arbor's teachers union agrees more clarity is needed before next month's vote. The Ann Arbor Education Association submitted 18 questions to Superintendent Jeanice Swift and plan to meet with her next week. President Linda Carter says a lot of teaching staff issues need to be resolved. "About where they would come in on the salary schedule? You know, if they are still probationary? You know, what year is that for them? Where are the issues in regards to numbers at the elementary school, middle school, high school? You know, do we take all 58 of the teachers?" Carter says. Howard Hanna Real Estate Associate Broker Alex Milshteyn expects Whitmore Lake real estate values to jump if the annexation passes. Currently the average Whitmore Lake home sells for $186,000 compared to Ann Arbor's $358,000 average. Higher sale prices are expected to also lead to more construction north of Ann Arbor. "Will cause a flurry of developments to be proposed all along Whitmore Lake Road, that's where most of the land is located. Whitmore Lake Road is one lane each way. That's going to cause a lot of traffic," Milshteyn says. Conversely, If annexation fails and Whitmore Lake's district is eventually dissolved, Milshteyn says home prices will plummet. He's still trying to decide how to vote. He thinks annexation is a benefit for the region overall, but doesn't like the tax increase for Ann Arbor property owners. Two of the biggest changes in Ann Arbor Public Schools this year are STEAM at Northside and the Pathways to Success Academic Campus. Enrollment is up at both schools and work continues on building expansion plans. 89.1 WEMU's Andrew Cluley reports on additions planned for Ann Arbor Public Schools Northside and Pathways to Success Academic Campus buildings. To remain in the black despite declining student enrollment, Whitmore Lake Schools officials closed the middle school, eliminated programs, and still have spent essentially all of the district's reserves. Fearing that the inevitable outcome of this constant reduction in services and enrollment would be state takeover, they turned to Ann Arbor Public Schools for an annexation. 89.1 WEMU's Andrew Cluley reports why a state representative doesn't think dissolving Whitmore Lake Schools is a viable option. Ann Arbor Public Schools officials believe they now have all the information they're going to get from the state around the proposed annexation of Whitmore Lake Public Schools. Community members supporting and opposing the plan still have plenty of questions. 89.1 WEMU's Andrew Cluley reports on questions remaining three weeks before voters will consider Ann Arbor Public Schools annexing Whitmore Lake Public Schools. In less than a month voters in the Ann Arbor and Whitmore Lake school districts will decide if annexation plans move forward. Many Whitmore Lake voters have questions, but appear to accept annexation as the best option. 89.1 WEMU's Andrew Cluley reports on a public meeting in Northfield Township about the Ann Arbor Public Schools-Whitmore Lake Public Schools annexation proposal. To balance the budget this year, Ann Arbor Public Schools have been counting on a boost in attendance, and the additional per-pupil dollars that comes with more kids in the classroom. The final enrollment number will be up, but likely not as much as hoped. 89.1 WEMU's Andrew Cluley reports on what Ann Arbor Public Schools officials are no expecting for enrollment numbers for this school year. If your regular commute is on U-S 23 north of Ann Arbor back-ups are likely the norm. The Michigan Department of Transportation continues to work on plans to ease the congestion. 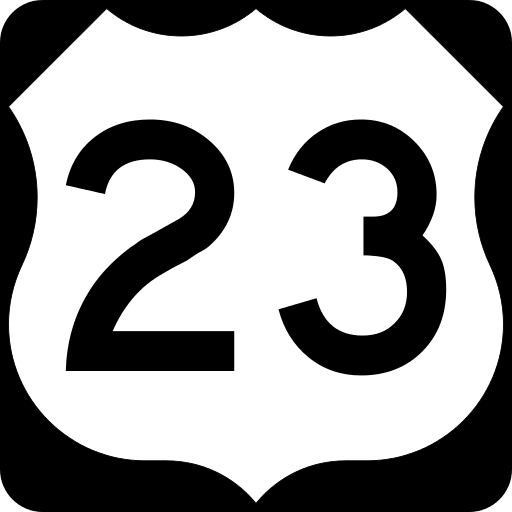 89.1 WEMU's Andrew Cluley reports on Michigan Department of Transportation officials continue to plan to reduce congestion on U-S 23 North of Ann Arbor.